Q: Where can I find my Routing and Transit Number? 1. From L&N’s home page, the Routing and Transit Number is listed at the top right hand corner of the screen or at the bottom of the screen next to About US. 2. Once you login to Internet Banking, the Routing and Transit Number can also be found under Important Information on the right hand side of the screen. 3. The Routing &Transit number can also be located on our mobile app by clicking More at the bottom of the Login screen. Q: Where can I find my Member number within Internet Banking? Q: Where can I find my ACH number and interest rates? A: Select the account you would like to see under My Accounts. Click See account details on the right hand side of the screen. You will be able to see the account type, number, ACH number, and interest rates/dividends. Q: Can I update my username for Internet Banking? A: Yes, to update your username, click My Settings. Under Login & Security, click Update. Enter your new username and current password, then click Save to confirm the update. Q: Can I change my password for Internet Banking? A: Yes, to update your password, click My Settings. Under Login & Security, click Update password. Fill in your current password, then fill in what you would like your new password to be and retype it below to confirm both fields match. Once you have finished, click Save to confirm the update. Q: What can I do if I have forgotten my password? From L&N’s homepage, underneath the username and password fields, click Forgot Username/Password? Enter your phone number and username so you may have a new password sent to you. Your password can be reset from the mobile app. Click More, then Recover Credentials. You will be redirected to a new window to enter your telephone number and Username linked to your L&N Internet Banking Account. Click Send me a new password and one will be sent over SMS text or delivered through a voice call. Please call in at (502) 368-5858 or (800)292-2905 for assistance. We will gladly unlock your account and/or update your password so you may access your account. 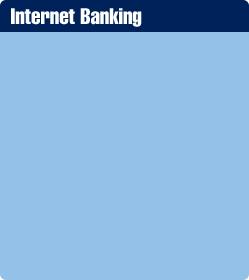 Q: Why can’t I login to Internet Banking or the Mobile app? A: During maintenance, the mobile app and Internet banking may be unavailable during the estimated downtime. Once the maintenance is complete, you will be able to access both Internet Banking and the Mobile app. Maintenance times can be viewed on the L&Ns website by clicking Internet Banking Maintenance. Q: How do I use the Purchase Rewards program? A: If an account is eligible for the Purchase Rewards program and offers are available for that account, you may find offers in your transaction history. You may also view your offers in the Purchase Rewards widget within Internet Banking or through your L&N mobile app. You may view your recent offers, expired offers, and your rewards earned. Q: Where can I access the Accounts History page? A: From the Internet Banking Homepage, click the blue account name to open the Account History page showing the transactions for that account. You can also use Quick Peek to view a snap shot of the last 5 days of transactions for that account. Q: How do I print my transactions? A: In the upper-right portion of the transaction history list, you will see a Print icon and link that will open a new window with the transactions presented in a printer-friendly format. The standard browser Print window will open and will give you the option to select another printer (if needed). Q: Can I locate a transaction on the Accounts History page? A: Yes, you can use Control + F to do a simple browser search for an amount, date, check number, payee name, etc. Q: How can I make a transfer using Move Money? A: Making a Transfer is fast, easy and convenient. You can choose to make a one-time transfer or schedule recurring transfers between your L&N accounts. At the top of the screen, hover over Move Money, then Make/Schedule a Transfer. Schedule a transfer by clicking Make a Transfer on the right hand side of the My Accounts screen. If you are viewing your account details click Make a transfer on the upper right hand portion of your account transaction list. Select the From and To accounts, enter the transfer amount, the date you would like the transfer to take place and you can add a memo if needed (if you are scheduling a recurring transfer check the Repeat** box) and then click Make Transfer. You will receive a message asking you to confirm the funds transfer. You will then see another window pop up to inform you that your transfer was successful. **If you are setting up a Scheduled recurring transfer a box will appear prompting you to set up the following fields. Q: What is a Member to Member Transfer and how do I set one up? Log into Internet Banking, click Move Money, and click Member to Member transfer. Click Add Recipient, and enter the requested information. Account number= 1, 2 etc. Click Add recipient and then click Confirm. Once you click confirm the member’s account is linked and you can send funds. Q: Can I manage recipients for Member to Member transfers? A: Yes, you may manage recipients by hovering over Move Money, then clicking Manage Recipients. From this screen you can view all the recipients you have added. You can also delete recipients by clicking Remove. Q: What are External Transfers? A: External Transfers are a convenient, secure way to move money between accounts at different financial institutions owned by the same person. With External Transfers, you may do a one-time transfer or setup a recurring transfer. Checking, savings, and money market accounts are all eligible. Login to Internet Banking and begin the registration process by clicking Move Money, then External Transfers. Q: How can I set up Alerts and Notifications for Internet Banking? A: Once you have logged into Internet Banking, click on My Settings at the top right hand corner of the screen. Under Other Settings, click Alerts & Notifications. From the Alerts & Notifications page, you may edit the types of alerts you would like to receive via Email or text message. Alerts can be added by clicking Add an alert. Alerts can be edited by clicking the More Options link on the alert. Alerts can also be removed by clicking the Remove link on the alert. Q: Can I view my alerts history? A: Yes, to view your alerts history, click My Settings at the top right hand corner of the screen. Under Other Settings click Alerts & Notifications. From the Alerts & Notifications page, click the View all alerts link. You can now view all the alerts that have been sent to you. Q: Why can’t I see my Finance Works? At this time Finance Works is not compatible with mobile devices and tablets. Q: How do I create or change nicknames for my accounts? Click the Rename & Hide your accounts link (the name of the link may very) in the Other Settings section. NOTE: These changes can take up to five minutes or more to go into effect. Click a link below for a pdf of your specific browser settings.